When Zappos and Crocs asked us if we wanted to review some of Crocs’ new Summer shoes we were admittedly hesitant. 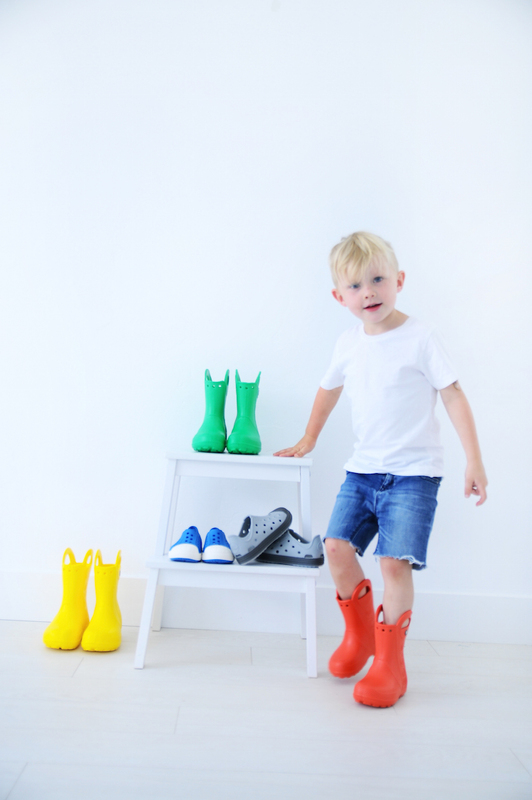 Historically, we have yet to purchase any for our kids, Crocs has picked up a bad wrap along the way for these fashion-loving (vain) mamas, but when thought twice we saw these amazing rain boots and slip-on style sneakers! Go, Crocs! 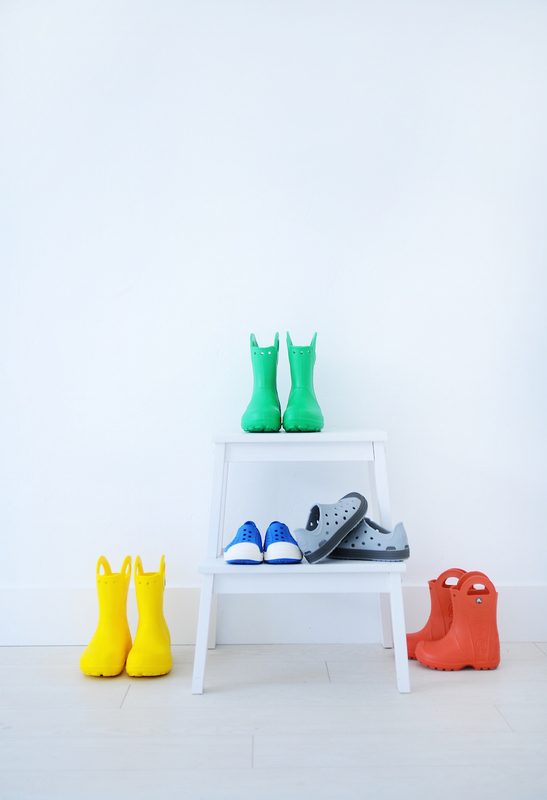 The rainboots are that super light-weight Croc material which we have yet to find in another rainboot. Typically our boys boots have been clunky and thick soled, which really isn’t necessary for a romp in a rain puddle! These are easier for them to manage and don’t hinder them from getting all those wiggles out. They come in all these fun colors too, so each kiddo gets to pick their very favorite. Find them in BLUE // RED // GREEN // the classic YELLOW and PINK too! 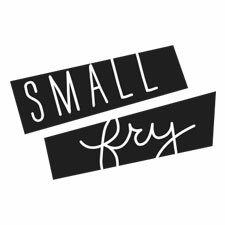 The style is minimal and totally functional which we love. We have to also note that we got one of our kids’ sizes wrong on this and they were so sad to not be able to wear them. With Zappos crazy amazing return policy (365 days, seriously?) they actually floated our exchange for us. Meaning, they overnighted the new pair of shoes, and instead of charging us for them they gave us two weeks to get the wrong size mailed back in – on them! A true exchange. The only downsize to online shopping for us has been waiting for funds to come back to us when we do returns, so this feature is so incredible!! The next style we love are the Bump-It Shoe! This slip-on style is so great for the pool, beach, or any activity where you’re going in an out of different elements. It breathes wonderfully and is soft so it won’t cause irritation or blisters. BLUE // GREY So if you’ve been like us and counted Crocs out, don’t go too far! 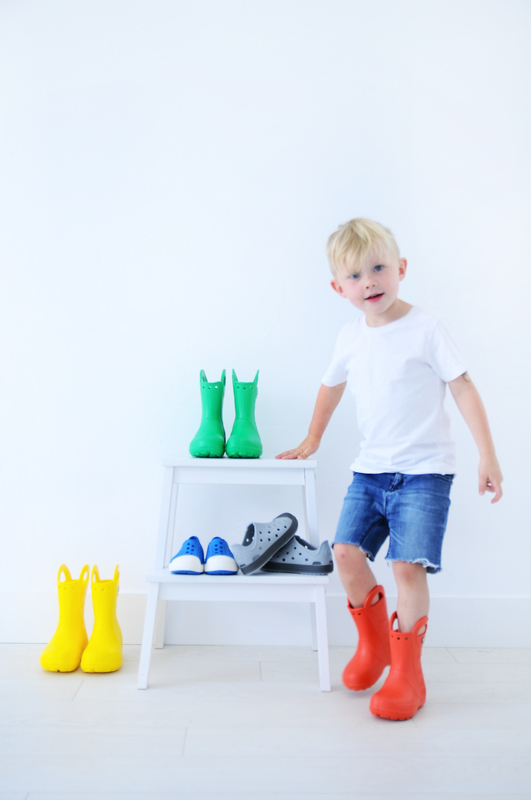 These styles won us over and our kids couldn’t be more excited to rock them all through the sprinklers, puddles, pools, beaches, hikes, parks, playgrounds, night games and whatever other excitements this Summer has in store for them! Thanks to Crocs at Zappos for working with us on this review! Summer Dresses Favorite Summer Sandals! I must say, I’m pleasantly surprised! I usually cringe at the thought of crocs!